1 "I can't wait for our National Night Out event!" Rebecca said to her friend Miriam as she dropped her skateboard beside the front steps of her house. 2 "What's that?" Miriam asked, leaving her skateboard beside Rebecca's. 3 Rebecca pushed the front door open. 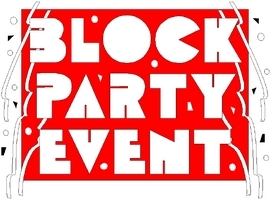 "Every August, our neighborhood has a big block party. We get information about how to keep our neighborhood safe from crime." 4 "It must be fun to live in a neighborhood," Miriam said a little sadly. "I like having a lot of space around our house, but I miss having close neighbors." Miriam lived in a rural area with houses far apart, while Rebecca lived in a large subdivision where houses were close together. 5 "You can come to our Night Out," Rebecca suggested as she led her friend to the kitchen for a cold drink. 6 "I'd like that. What time does it start?" 7 "It begins at 6:00 P.M. at the clubhouse by the pool." Rebecca reached into the fridge. 8 "What will we be doing?" Miriam took the soft drink that Rebecca offered her and popped it open. 9 "We'll have a cookout and pool party, and local police officers will come to talk with us. They will have a table where children can fingerprint their own identity cards. We will review our neighborhood watch program."